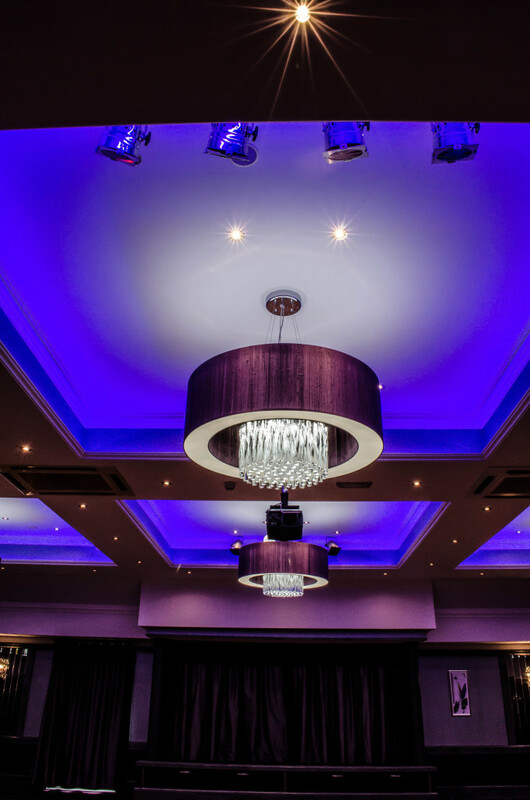 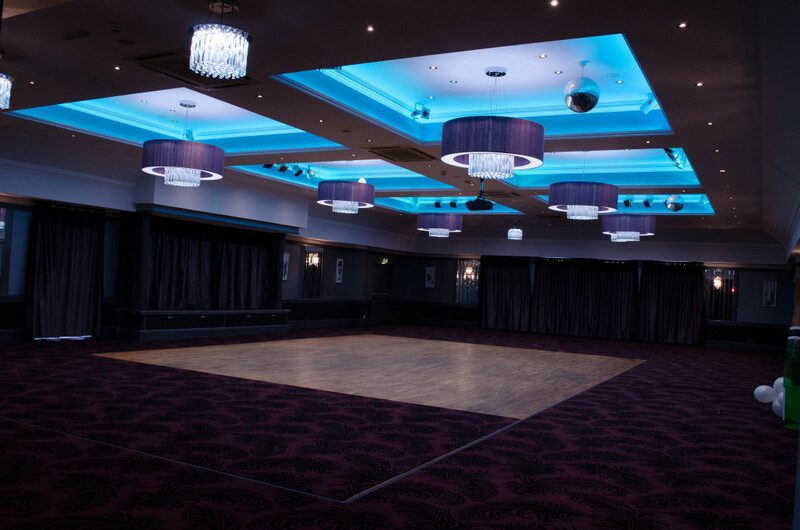 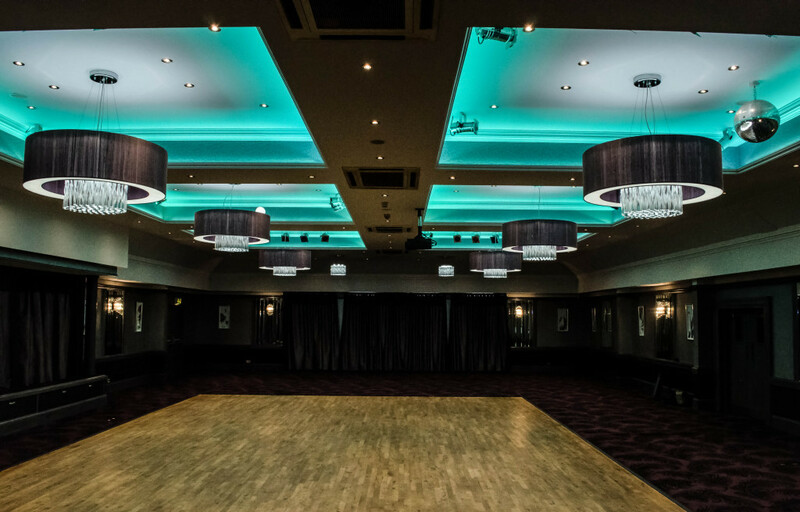 The Palace Hotel in Peterhead are one of our oldest clients and we were delighted to be involved when they came to fully refurbish their Ballroom. 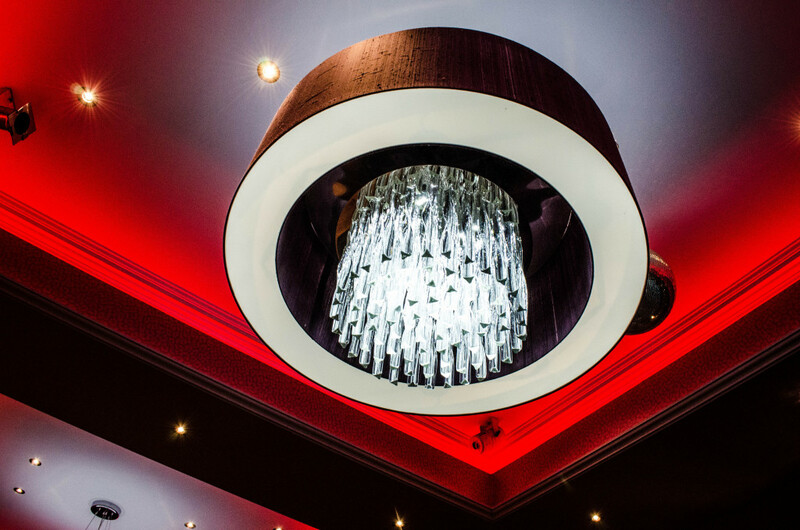 The suspended shades are a bespoke fitting which we designed in conjunction with the Interior designer and manufactured. 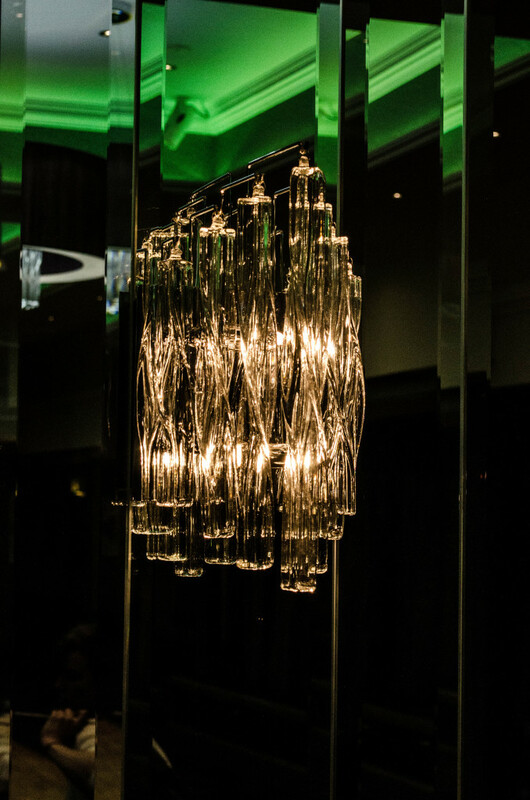 The shades have 2 dimmable LED light sources and include a feature crystal chandelier which forms the centre of each piece and are complimented by the crystal wall lights. 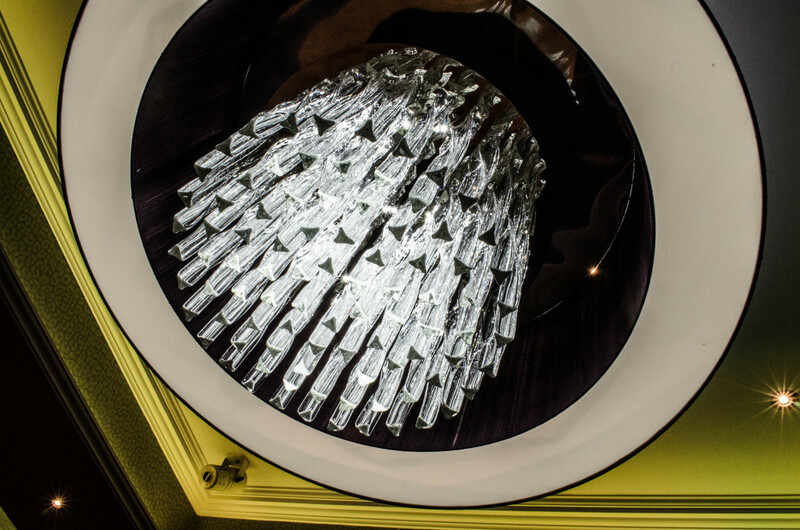 The feature up light to the ceiling is a linear RGB colour change light source which we incorporated into the new cornices in each coffer.